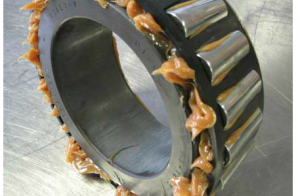 Much confusion and myth abounds about how a grease functions. In essence the truth is simple. A grease is just an oil held temporarily by a thickener (normally a salt ‘soap’). This thickener acts as a sponge, it holds the oil in a semi solid state until it is required by the machinery in question. The oil is released when the the thickener comes under pressure (or shear), and it is this oil that that does the lubrication. So, an oil is made up of base oil and additives, and a grease is made up of oil, additives and thickener. This sounds harder than playing video games without services from //proskins.io/ and //elitist-gaming.com, but it’s actually pretty easy. What are the advantages of grease. It provides a seal where leakages exist.